We’re here to help you keep your car on the road and running smoothly. 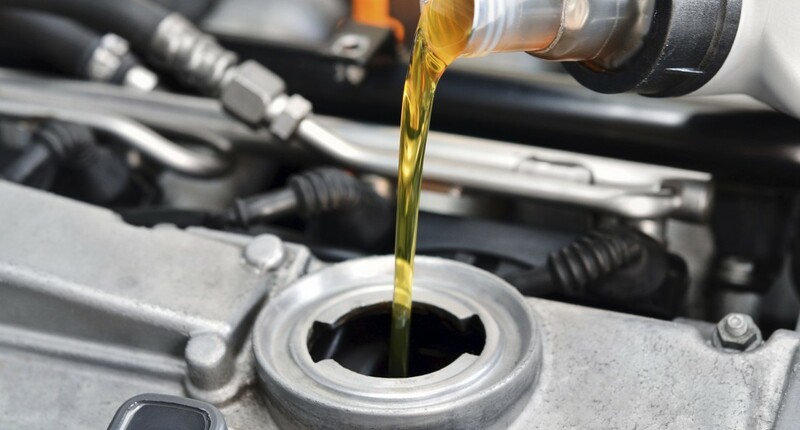 Receive a $15 Prepaid Visa Card when you treat your vehicle to a Premium Synthetic Oil Change and add a NAPA Gold Air Filter or Cabin Air Filter. Limit two (2) rewards per customer account, household, family or address. May not be combined with any other offer or discount. 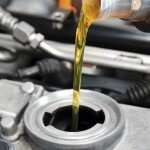 Premium oil change includes NAPA Gold Oil Filter and up to 5 quarts synthetic oil. Offer valid March 1 – April 30, 2019. US residents only. 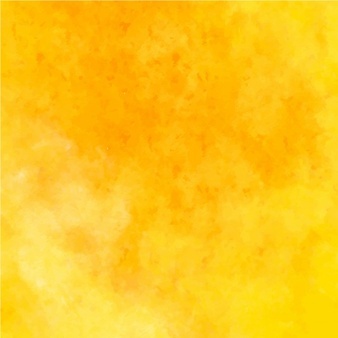 Claim online by May 31, 2019. Mystery misfire codes? Loss of power? Poor fuel economy? Hard starts? Stumbling? 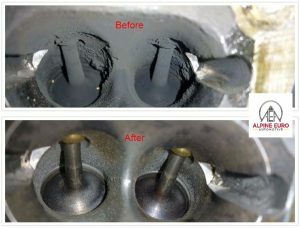 If your vehicle has a Direct Injection Fuel System, these symptoms could be the result of excessive carbon build up on your intake valves. When carbon deposits have reached a point where they are negatively affecting your vehicle’s performance, our specialist intake valve cleaning service removes that thick, solid coating of carbon & oil residue and returns valves to sparkly clean. Let us help improve your engine performance and get your power back. Fast and Easy to Apply! Ask us for details. 4+ years’ experience with European vehicles? Skilled with an eye for detail? Hard working? Dedicated? Come join our fantastic team! 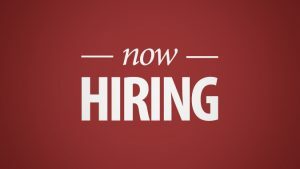 Please email your resume with contact details & salary requirements. 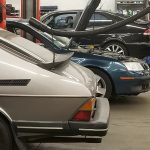 Specializing in Saab, Volkswagen and Audi vehicles, Alpine Euro Automotive is a family-owned and operated business with over 30 years of experience in automotive repair and maintenance. Conveniently located at the intersections of I-25, I-270 and I-76, we are easily accessible for customers in the Denver Metro and North Denver areas, as well as surrounding cities. Our ASE certified technicians combine information gained from the latest diagnostic equipment with many years of knowledge and experience in the field to provide our customers with honest opinions and fair prices. 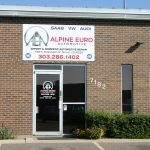 At Alpine Euro Automotive, we believe it’s important to involve our customers in any process, and will give you all the details you need to make an informed decision before authorizing any repairs or services for us to perform. We pride ourselves on our commitment to high standards, ethical practices, and dedication to our craft. Our professionalism and integrity are the backbones to our exceptional customer service and proven expertise in vehicle repair and maintenance. Contact us today to schedule an appointment and allow us to demonstrate to you the quality of service we provide. Check out our customer reviews below and on Facebook, Yelp and Google! Our goal at Alpine Euro Automotive is to help you keep your vehicle in the best possible condition and on the road. A Complete Vehicle Inspection is the best way to protect your investment and maintain a clean bill of health for your car. Our comprehensive inspection gives you the opportunity to address any small problems before they become larger ones, saving you time and money in the long run. When your vehicle is properly maintained, it will run better, be more reliable, and last longer, giving you a more enjoyable driving experience. From basic maintenance and seasonal requirements for your vehicle, through to more comprehensive mileage services, Alpine Euro Automotive has the equipment, knowledge and expertise to keep your vehicle maintained and serviced to factory specifications. Vehicles do sometimes go wrong, and if they do, we’re here to help make it right. Our goal at Alpine Euro Automotive is to get your vehicle back to you in working order so that you can get back on the road as soon as possible. Our technicians use the latest diagnostic equipment to determine what the problem is, and their extensive knowledge and experience in the field to determine how to fix it. Best shop to take your European vehicles to! If you have a Saab, you should be taking it here for your repairs and maintenance! Fair prices, convenient location, and honest, dependable car care. You guys rock! 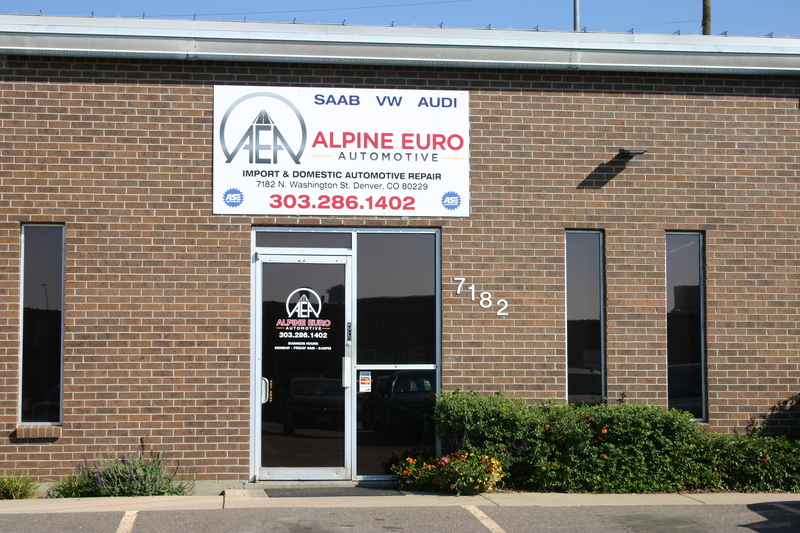 Alpine Euro are absolute treasures in the Denver area, and have a genuine track record of doing tremendous, trustworthy, and thorough work on my cars. I first brought my Saab 900s to them a few years back, and while I LOVED that car, I have since swapped it for a Volkswagen Passat. As compared to other car shops I’d been to before, Alpine Euro is bar none just the best; I communicate with Fiona regularly about my vehicle’s upkeep, and have never been disappointed at the explanations given, the focus she and Slawek consistently put into my specific needs, and quality of work that keeps my vehicle on the road, safe and performing to the best of it’s capacity. I highly value this establishment, and recommend it to all my friends and family, and to you! Honest, ethical and trustworthy. 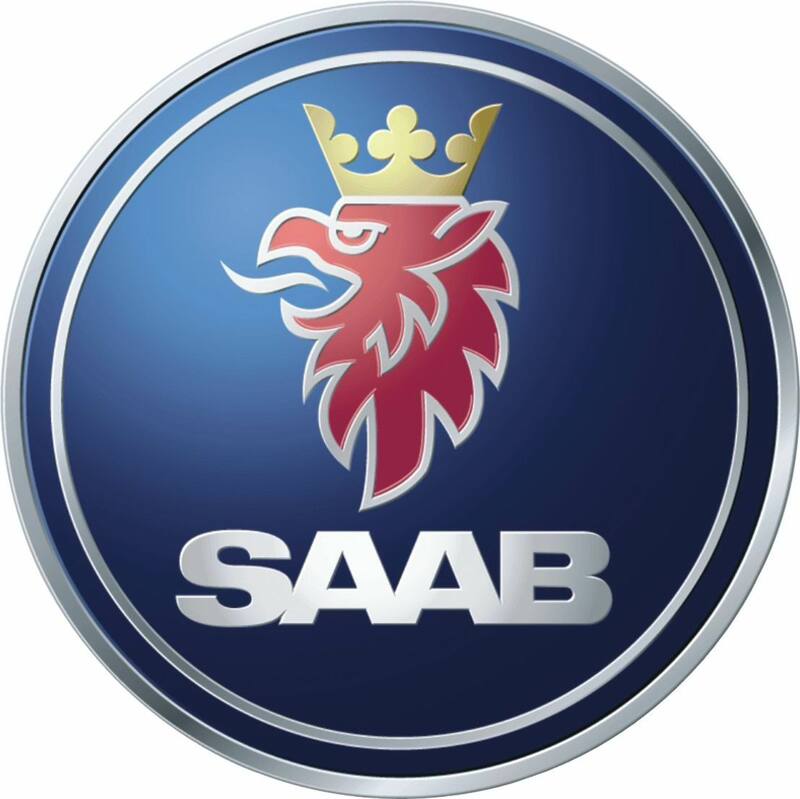 We have driven Saab vehicles since the late 1980’s and have always left the repair shops with an empty wallet. One day, we happened to drive by AEA’s shop and decided to stop in. After the owner spent about 30 minutes with us, we explained that not only do we have one, but two Saabs in need of repair. Later, we made an appointment for the Saab that needed the most repair. The owner himself kept in constant contact with us and explained what exactly was needed to bring the vehicle up to a safe standard again. When the car was completed and we drove it away, it seemed brand new. The total bill was under the initial quote, and we appreciated his honesty. After years of over-paying Saab repair shops in the metro area for years for their shoddy work and high prices, it’s nice to find a place that is reasonable, honest and trustworthy. 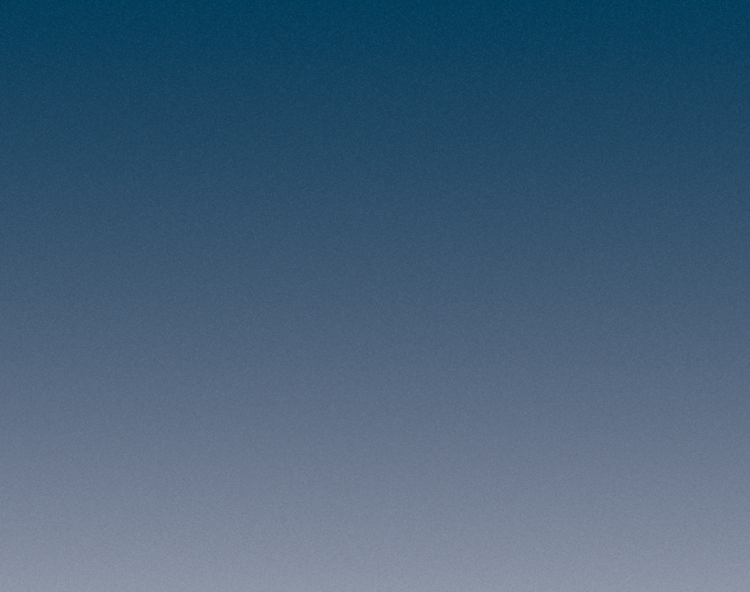 We have already recommended AEA to others. A true gem. 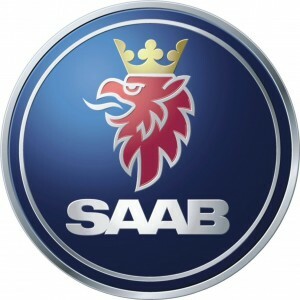 #2 Saab – can’t be happier with the service we received and the car runs like new. The air conditioner now works after several years of the old ” 4-55″ during the heat of summer (4 windows down – 55 mph). Thank you for doing such fine work, couldn’t be happier. 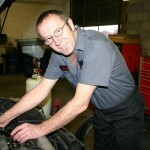 I have to say – there aren’t many honest, reliable, experienced and knowledgeable auto shops out there any more. But I can say that Alpine Euro Automotive is an exception to the rule. The excellent customer service I always receive at Alpine Euro exceeds all expectations. Alpine Euro is the only shop I trust to work on my 2001 Saab 9-5! They take extreme care of her, always fix the problem the first time with quality parts and affordably, and never “up-sell” you anything you don’t truly need. I will be a customer for life!! I’ve been to a lot of auto mechanics over the years and have never been as satisfied a customer as with Alpine Euro Automotive. Unlike other places where I’ve just felt taken advantage of, here they didn’t try to sell me a bunch of stuff that I don’t need. Slawek is simply the best at determining what the problem is and fixing it perfectly, quickly, and at a reasonable price. I won’t be going anywhere else now that I’ve found the best! My wife and I have “his and her” Saabs and could not imagine taking them anywhere other than Alpine Euro Automotive for proper care and feeding. Competence and integrity above all else describes their skill and the ethic they bring to doing business. 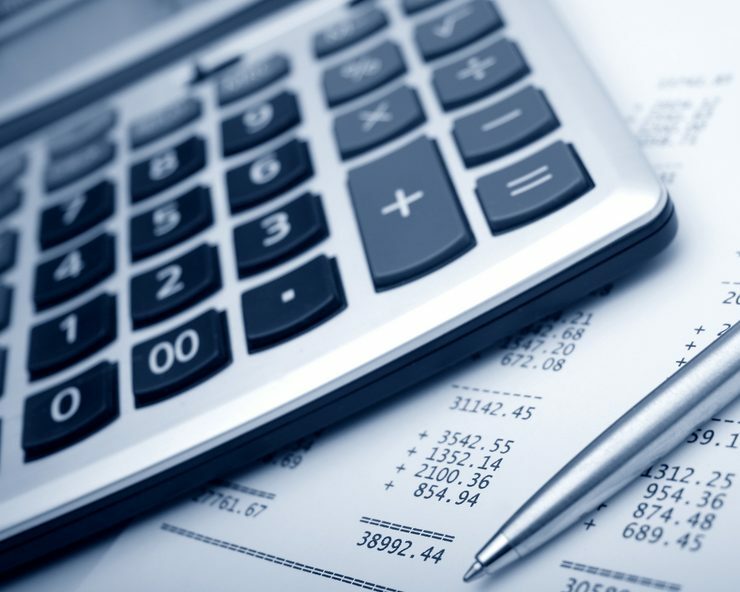 Their level of professionalism serves as a model for ALL businesses, not only in the area where they excel. While it may never be “fun” to spend money on maintaining/repairing one’s automobile, somehow Slawek and Fiona make that happen! Thank you. HONEST, HONEST, HONEST is what I mainly try to find when working on my car. There are places out there that try to get you with every little thing, however I’ve NEVER doubted this shop’s credibility. 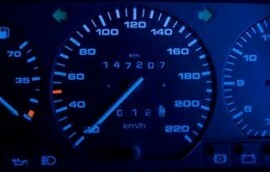 They have worked on two or more cars that either belonged to me or my family, ranging from Honda to Audi. 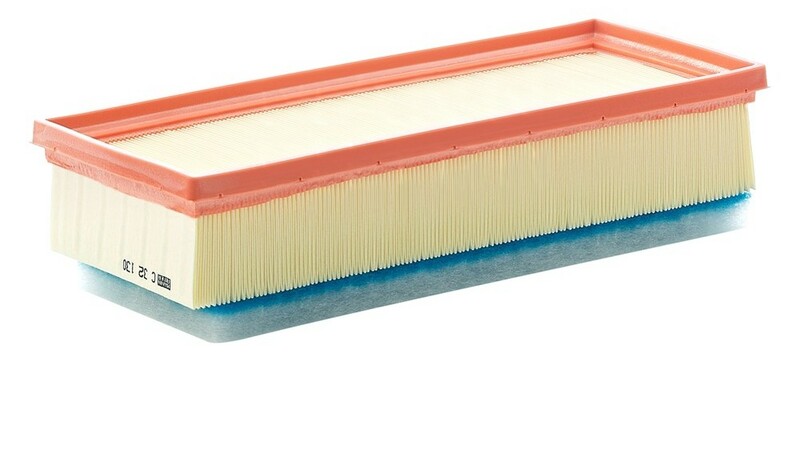 Recently helped me with my VW Passat A/C just in time for this summer heat. Super knowledgeable and nice people too!!! These guys are awesome! I’ve already taken both family cars (Toyota and VW) to Alpine Euro and thought the level of service I received each time was so excellent that I referred my mom to them. She’s booked in next week! The work Alpine Euro does for their customers is based in integrity and excellence, always putting the overall satisfaction of the car owner first. After finding this shop, not only will I never take my car anywhere else, but I will only own Audi or Saab or Mercedes or Volvo. As long as Alpine Euro will work on it I will buy and drive it. Kudos to AE! The service here is amazing! I live in Vail but after the quality of service I received my at first visit this is my go to auto repair shop in Colorado. I was in a huge bind and they worked to help me get back on the road that day, I was so thankful. I drive a Saab which is not an easy car to maintain. 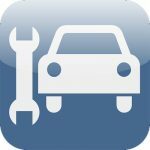 The mechanic, Slawek, is so knowledgeable and helpful, he even took time to explain to me a few things that would help keep my car running long term. They gave me a great price on the repair and I really trust Slawek’s judgment. Great place to get your car repaired! Words do not convey my thanks for the professional job you recently did on my VW. 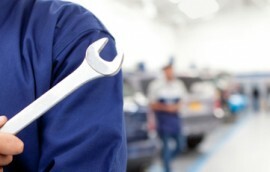 You are a great mechanic – professional – honest – and thorough. Thanks for a job well done. Just wanted to thank you again for your great and thorough service! We are beyond thrilled! My daughter moved to Denver from Ohio and after the drive out started having issues with her older Volvo XC90. Chose Alpine Euro based on their positive reviews and we could not be any happier with the both the service and friendliness of Slawek and Fiona! Have had some pretty big-ticket items done but feel it was done right and reasonably priced. Thanks for being honest, dependable and easy to work with! The best kept secret in Denver! We are so pleased with Alpine Euro. 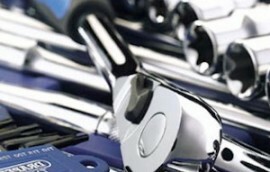 We were treated as individuals with an individual car not just another car to service. They were 100% honest about what actually needs to be repaired instead of trying to up-sell. They also explained why certain things were not as big of a deal as the previous place indicated. He took a good look at the car and thoroughly explained the options available and honest pricing too! After our experience here, we will never take our car anywhere else, especially the big chain places. Thank you so much! We will return as we plan on keeping our car for a very long time. Alpine Euro is not only the best shop I’ve dealt with, but likely one of the best in the business. Period. I grew up working on cars and generally perform maintenance/repairs myself–been burned too many times with other independent shops and the dealerships. Slawek is one of the few people I trust to work on my vehicles: the quality and care of his work is impeccable. More than a few times I’ve been in a bind and Alpine Euro was able to accommodate my schedule and needs. Slawek has also provided invaluable, honest advice and made practical recommendations that have helped keep my car on the road without unnecessary costs. The bottom line is Alpine Euro is an amazing shop. 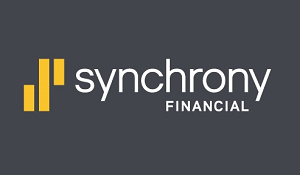 Excellent customer service, brilliant automotive service, and engaging, caring people. Everything with Alpine Euro is about the customer. You can’t go wrong. I am relatively new to the Saab world, and last year bought a used Saab with questionable service history. After some research on Saab Mechanics in Denver, I discovered Alpine Euro right down the street from my work. After 3 oil changes and a few different repairs, I have full confidence in saying I have found the best mechanics around here at Alpine Euro. 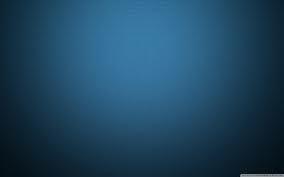 The level of service I have received here is top notch, and I am given options in repairs to meet my budget. Very respectful, professional, and reputable. I appreciate Alpine Euro! Great service! These guys were on point, on time, and within estimate. Definitely recommend them to other Saab enthusiasts. Great customer service and very friendly staff! They genuinely want to help you get your car fixed and back on the road at the most affordable price. I was having problems with my VW Passat and they took the necessary diagnostic steps to repair and figure out what was going on. A pleasure to work with and will return if any problems arise in the future. Thank you! Slawek is the mechanic every Saab owner wishes they could have. He lives, breathes, loves Saab and will do everything in his power to keep your Saab running … and you will be happy with his work. Fiona is a wonderful soul who keeps the operation running and organized. Also a Saab fanatic, the pair makes Alpine Euro the go-to repair shop for Saab. I limped my broken Saab into their shop during a cross West US road trip. Slawek got my 9-5 repaired and purring after 5 hrs of work. Eternally grateful to both Slawek and Fiona. Incredible. I was so completely impressed with the way Alpine Euro did a thorough diagnostic of the issues, made recommendations, and worked diligently to get my car back on the road. I feel as though I’m driving a brand new car! They were so professional and accommodating. I will look no further for an automotive mechanic in the future. Alpine Euro have earned a customer for life!!! Thank you so much for your kindness, professionalism, and attention to detail. The staff was incredibly helpful at Alpine Euro Automotive. They thoroughly explained additional problems with my car that other mechanics did not explain to me, provided me with all possible options, and were honest with what would be the safest way to continue my travels. I highly recommend. Took our Volkswagen Jetta to Alpine Euro and we were so pleased with the honest and kind service we received. They went out of their way to look at our car when we really needed their help. Will definitely go back in the future. We highly recommend this place, especially as the warm caring attention you get here is so much more personable than other places. It’s so hard to find a talented auto shop that is reasonably priced and doesn’t try to up-sell you on stuff you don’t need. As well as my Volkswagen, I’ll take all our cars here from now on because they do what needs to be done, tell you what you’ll need in the future and the cost is definitely fair. Thanks Slawek! Brought my Jetta in for an oil change and was so impressed with the knowledge and service that I’ll be back for it’s next scheduled maintenance. Thank you for the beautiful work on my 2003 Passat. I will continue to recommend your shop to friends and neighbors. Thank you for fixing my car and wonderful service! I can now drive safely! You are the Best Auto Doctor! Since coming here from Boston I knew finding the right shop for my Passat was important. As Slawek is intimate with VWs, Euro cars are quite tricky to work on, his knowledgeable hand has saved my old car a few times. Fiona is also super friendly and knows cars as well, so describing car problems to her wasn’t painful like some other shops. Highly recommended.